Around the same time that the US was choosing a new semi-auto pistol, the Kingdom of Norway was also looking to standardize on a new pistol. They actually ended up selecting Colt’s 1903 Model. However, before they could go into full production of the 1903, the US selected the 1911, which caused Norway to reconsider. 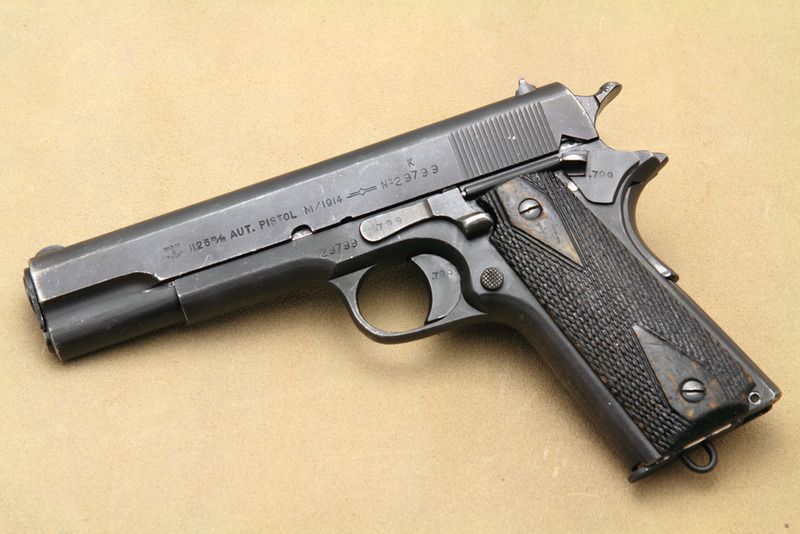 Norway ended up selecting the 1911 with a minor change in the design of the slide stop lever. This was designated as the Norwegian Model of 1914, also known as the Kongsberg Colt (as it was made under license in the Kongsberg factory in Norway). At the start of WW2, Germany invaded and occupied Norway. Production of the Kongsberg Colt continued while under Nazi occupation. It was designated as the Pistole 657(n). Approximately 8000 were made during the period 1940-1945. 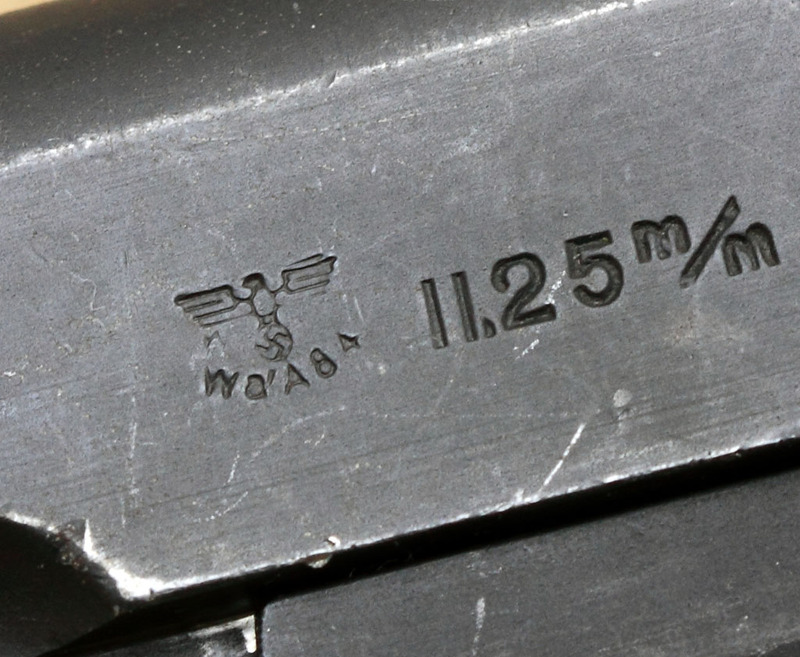 However, only in the last year of production did the Germans add the Waffenamt stamp indicating it was a german weapon. This is one of approximately 920 pistols to receive the German Waffenamt, marking it as a Nazi 1911. Notice the Norwegian modified slide stop lever. Makes it easier to operate with one hand. As posted by member “Beetle” on Calguns.net, who owns this beautiful and very rare peace of history.